A stimulus is the starting point of a piece of art, it is there to 'stimulate' ideas. This could be a short story, a newspaper article, a picture or simply a word. 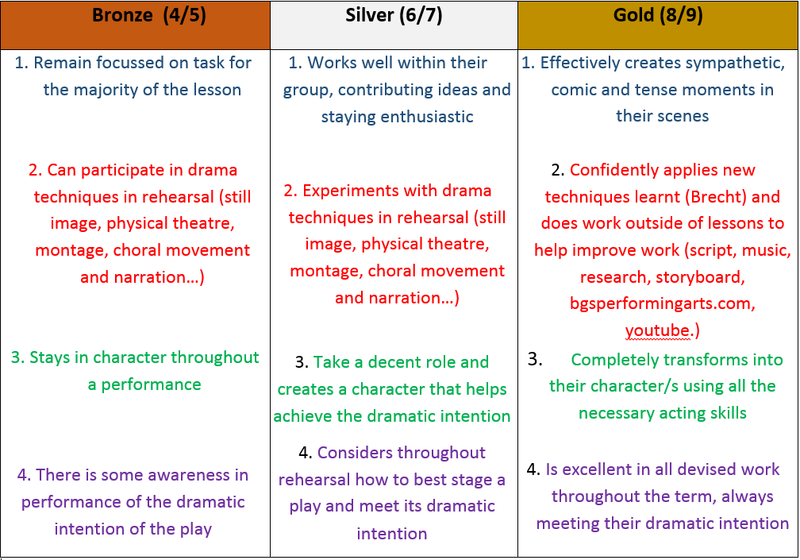 What makes good devised work? You should try to include as many techniques as possible, these are on the wall of the drama room. Also, you characters should have depth- don't just be 'shopkeeper'- do you like or hate your job? Are you young or old? Are you polite to customers or rude? Are you struggling to get enough customers so are stressed or are you overrun with customers and are rushing through each customer? - Don't just stand there and say lines, you won;t get a good mark. Can you show me some good work?